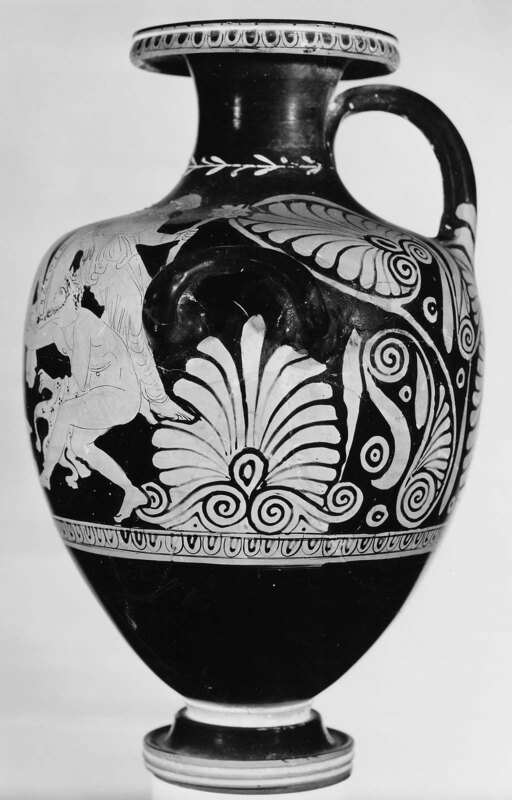 Second quarter of 4th century B.C. 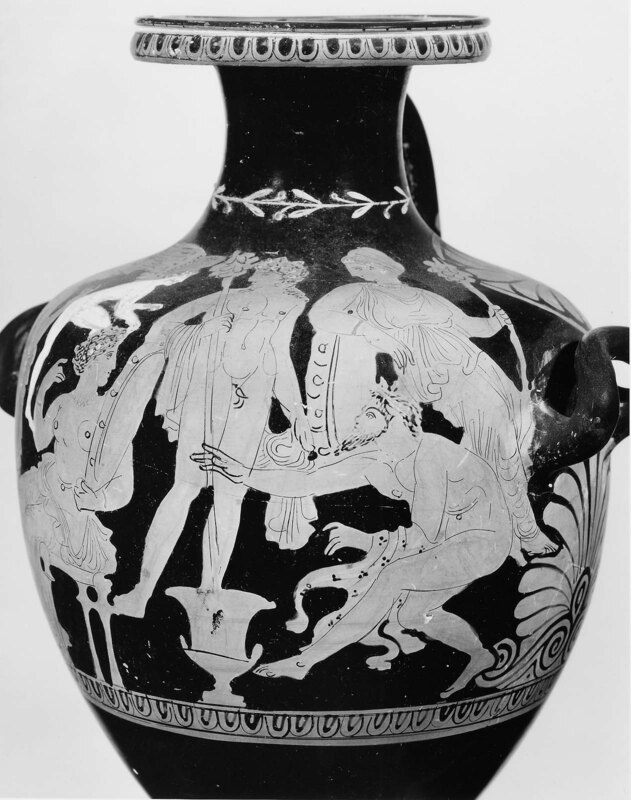 Dionysos, standing. 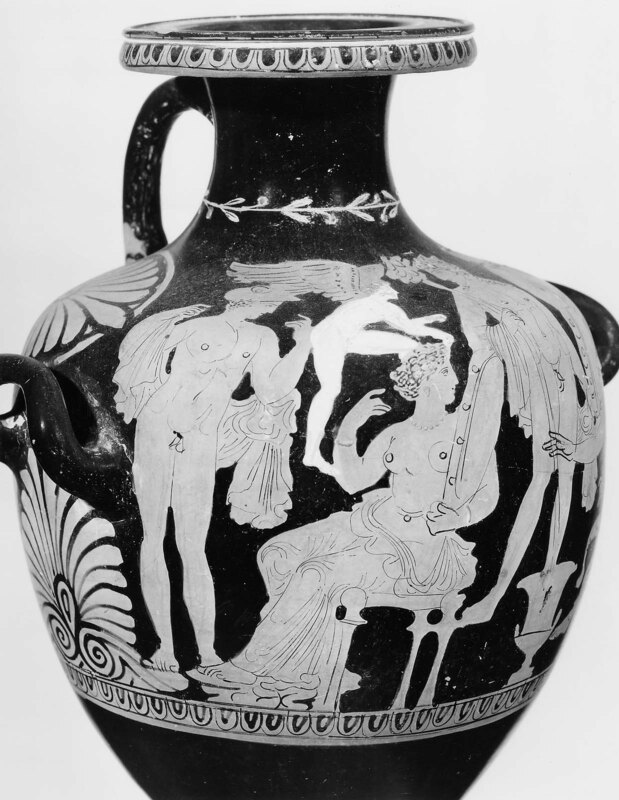 Ariadne, seated, with Eros hovering over her; at left, Hermes, standing; at right of Dionysos, a nymph, and a satyr, crouching or dancing.